There are lots of great things going on this weekend in Myrtle Beach, Market Common, and Surfside Beach! The Horry county fair is in town, the Easter bunny is everywhere, and La Belle Amie Vineyard is having a wine festival. Things to do in Murrells Inlet & Market Common this weekend! 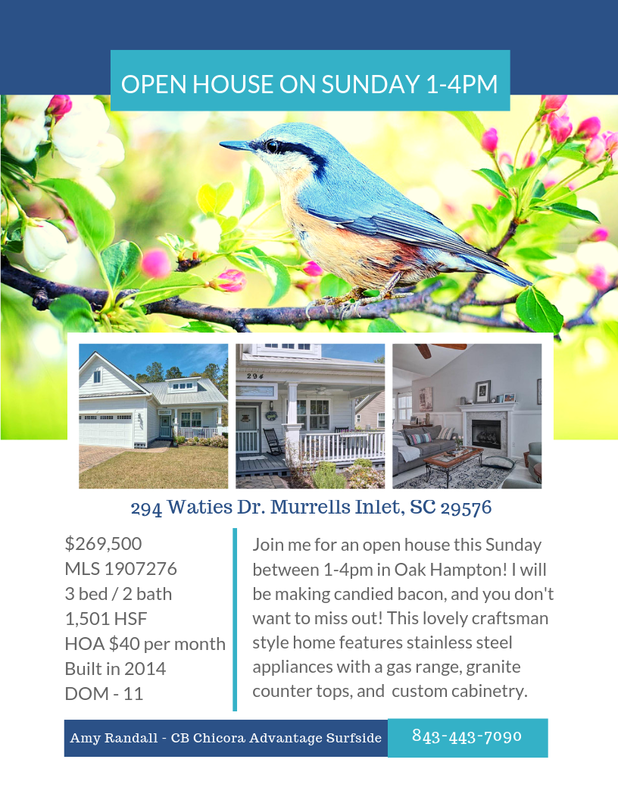 Things to do in Murrells Inlet & Market Common this weekend! Sat April 13th is the 10th Annual Marshwalk Masters! The 1,000 Lights Floating Water Lantern Festival is on Sat as well. The 6th Annual Seacoast Artists Guild in Common Springs Festival is on Friday and Sat. ( April 13th & 14th ) Don't forget to subscribe to my channel if you want to stay up to date with local events on the Grand Strand! Golf cart to the beach and Market Common! Hi, I'm Amy and I'm a Realtor at Coldwell Banker Chicora in Surfside Beach, SC. Let me help you turn your dreams into reality. Flipping Houses in Myrtle Beach! Back on the Market! Beautiful 3 bed 2 bath condo close to Surfside Beach! FREE Chick fil a on Sat btw 1-4! I know you will be hungry! Come enjoy the freedom of having no HOA! Check out this beautiful home in Berkshire Forest! What a steal of a deal! Don't miss out on this investor's dream! 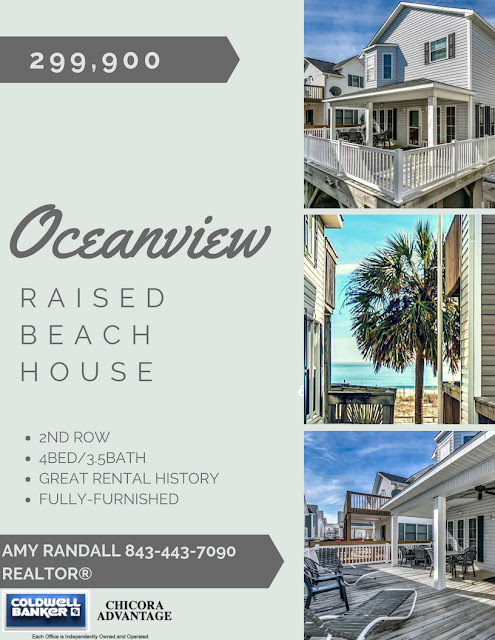 Ocean view 2nd row raised beach house for only $299,900!